Mike Mignola is the acclaimed creator of Hellboy and Zombieworld, and has drawn Batman: Gotham by Gaslight, Aliens and Cloak and Dagger. John Byrne is the fan-favourite artist on a host of titles, from X-Men to Superman, Fantastic Four to Wonder Woman. He is the creator of the Next Men. Mike Mignola currently lives in southern California with his wife, daughter, and cat. CLICK HERE FOR MORE TITLES BY MIKE MIGNOLA. I'm a huge fan of Hellboy. I love all the books and both movies. I think the character is funny and endearing and perfect in every way. I really like Mike Mignola's art, too. So it was with great pleasure that I read Hellboy in Hell: The Descent, which is the first Hellboy book in many years both written and drawn by Mike Mignola. 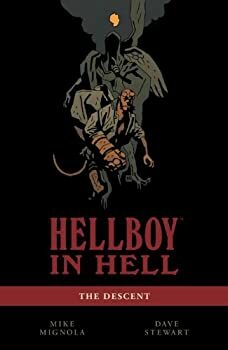 Though he's continued to write many if not most of the Hellboy tales, he has not written all of them, and a good number of them are drawn by artists imitating his style. 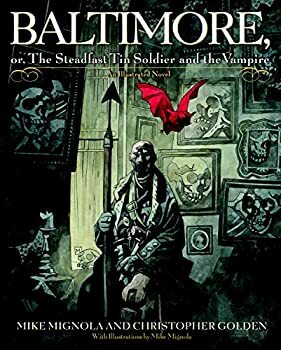 But in this latest volume, Mignola returns to his creation, with the masterful Dave Stewart adding colors and Clem Robbins acting as letterer. On a cold autumn night, under a black sky leached of starlight and absent the moon, Captain Henry Baltimore clutches his rifle and stares across the dark abyss of the battlefield, and knows in his heart that these are the torture fields of Hell, and damnation awaits mere steps ahead. 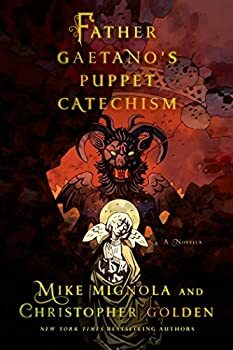 There is just no way I can resist reading a novella called Father Gaetano’s Puppet Catechism, especially when it’s written by the guy who created Hellboy. As I expected, I was rewarded with just over 4 hours of constant audio entertainment. The third issue of Nightmare is more accomplished than one would expect from a magazine so new. 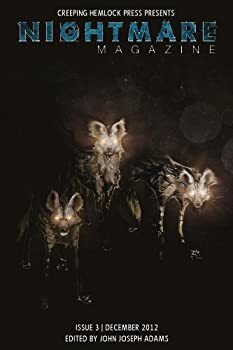 The choice of stories is excellent, and the debut story is especially disturbing.